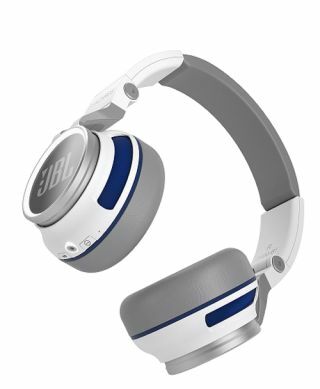 JBL announces launch of two new Bluetooth headphones | What Hi-Fi? JBL – the American manufacturer owned by Harman International – has launched two new Bluetooth headphones in response to what it calls the "growing market demand for wireless features". The company says its in-ear JBL J46BT and over-ear JBL Synchros S400BT headphones have been designed to combine high quality sound with the flexibility of wireless Bluetooth connectivity. First to hit the shelves are the JBL J46BTs, a rare pair of in-ear Bluetooth headphones. Available now for £90, they boast a three-button remote control to adjust volume, play/pause music and answer phone calls. The buds come with Bluetooth 4.0 connectivity; advanced 6mm drivers; a frequency response of 20Hz to 18KHz; and three sizes of silicone ear tips designed to offer comfort and noise isolation. In addition, there are two sizes of sports cushions for greater stability. The rechargeable battery has a charge time of 2.5 hours, with the headphones offering a music playing time of five hours. They come in two colours. Meanwhile, the JBL Synchros S400BT are coming to the UK market in March for £250 with the JBL touch sensor control for "an ever simpler way of controlling the listening experience". Built-in batteries offer 15 hours of playback via Bluetooth 3.0 technology, while you can also connect them using a cable for passive playback mode – even while the battery is recharging. The 40mm driver aims to provide clarity and hard-hitting bass, while echo-cancellation technology is used to provide "natural sounding" phone calls. They will be available in two colours.